Localscope v3 has been an exciting release for our users and for us. We have been listening to all the great feedback that you give us and are humbled by your comments. Your feedback helped quickly identify some issues and we are ready with another update to fix them all. Localscope v3.0.1 is now available on the App Store for download. This update fixes the permissions issue with Facebook, enables searching for geo-tagged reminders using list names and some nifty improvements. The previous version had an issue with Facebook permissions that was disallowing some users to authenticate using Facebook. This release fixes the problem permanently. 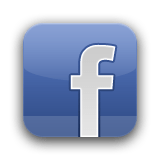 “Connect Facebook” should work smoothly now, for all users enabling you to browse locations around you from Facebook. v3.0.1 adds support to search for geo-tagged reminders using their list names. If you have created a Must-Eat Restaurant list for example, all items in that list will now be listed in the Reminders source in order of proximity, when you search for restaurants in Localscope. Our intention has never been to abandon you, our fans and our customers, instead we aim to constantly introduce you to new technologies and present you with intuitive ways to take advantage of them. One of the key reasons for the iOS6 move was the new integration with the Reminders App that is only possible using iOS6. Some other new enhancements like native sharing and Facebook integration also depend upon the newly available APIs in iOS6. Besides features, we have done various perfomance improvements to Localscope using some of the new tech that Apple has provided with iOS6. Since we did not have any known bugs or issues with the last released version 2.5.1 (which should continue functioning perfectly) we chose to move into iOS6 early on and use all the great new capabilities of the available API to make Localscope even better. 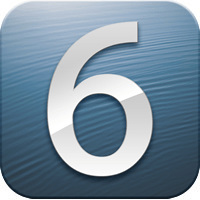 Due to this deep integration with the new capabilities of iOS6, we don’t see the possibility of re-supporting iOS5. Even if we did, it would nearly be the same as v2.5.1. We understand your apprehension in relying on the new Apple Maps app on the new iOS6. We think Localscope particularly helps with this issue. Localscope can search and discover points of interest from all its sources, including 2 Google sources and allow you to send these points to the new Apple Maps app, compensating for its lack of POIs. Localscope also lets you open the found POIs in other mapping and navigation apps including Google Maps over the mobile web. A small change for our Japanese users: We had transliterated the App name to Japanese (and a few other languages) so users feel at home with the app. Based on the feedback we received from our users, it didn’t work well with them and so with this version we are reverting back to using Localscope in English for all languages. The new and updated version of Localscope is now globally available on the Apple AppStore. We hope you enjoy using and exploring your locality with Localscope. Visit the AppStore to get your copy now!